The Willow Pond Fountains have a three-tiered display broadening widely to create an asterisk shaped pattern on the water’s surface. This floating pond fountain is sure to capture plenty of attention! The Willow Pond Fountains have a three-tiered display broadening widely to create an asterisk shaped pattern on the water’s surface. 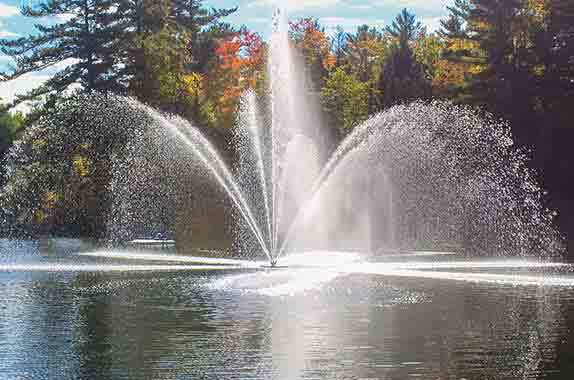 This Made in Canada floating pond fountains are sure to capture plenty of attention! All Willow Pond fountains models are powered by a stainless steel; water cooled/ water lubricated submersible motor and stainless steel submersible pump.